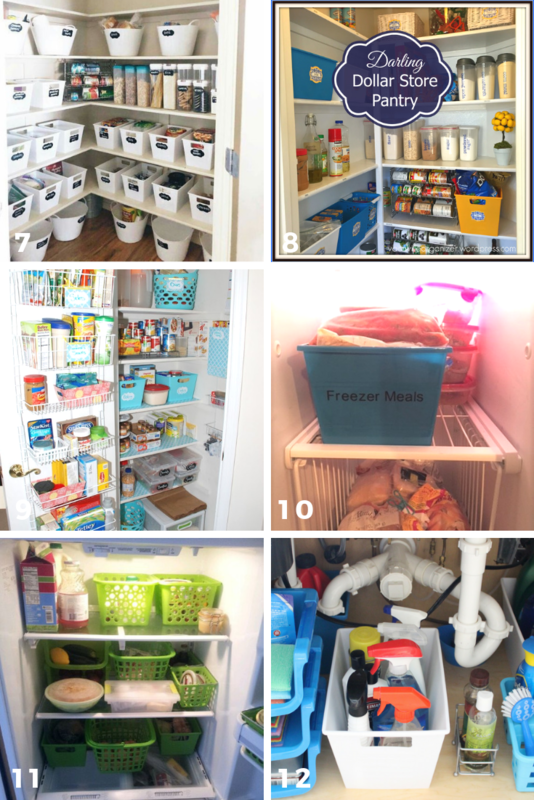 Are you ready to organize your entire house on a budget? 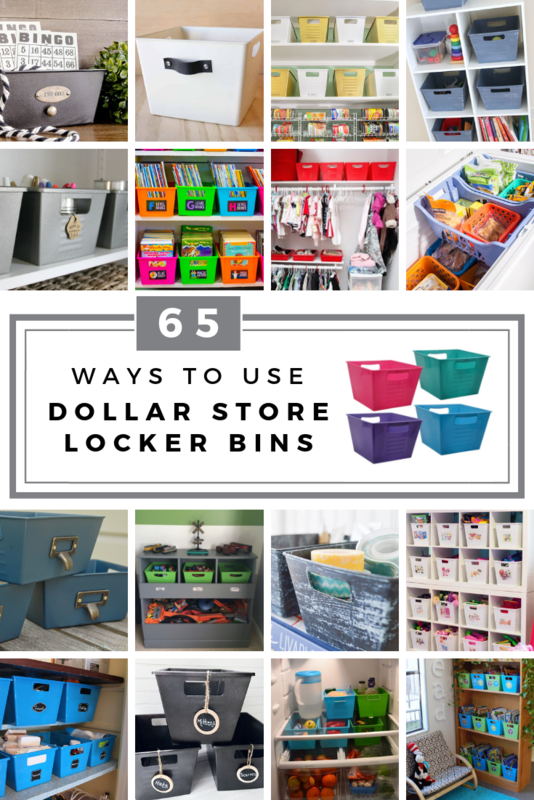 Check out these 65 ways to use Dollar Store locker bins to keep your home organized! 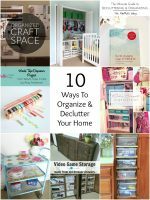 Need to organize a bit in your home? 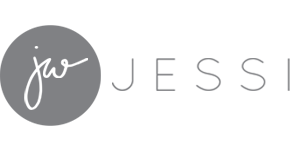 Head to a Dollar Tree for all your organizational needs and get organized while saving money! The Dollar Tree has a whole “Storage & Organization” section full of awesome products, but my favorites are the plastic locker bins. They are so versatile! If you buy Dollar Tree stuff online, you usually need to buy a whole “case” of it. So if you buy these plastic locker bins, they come in a case of 36. 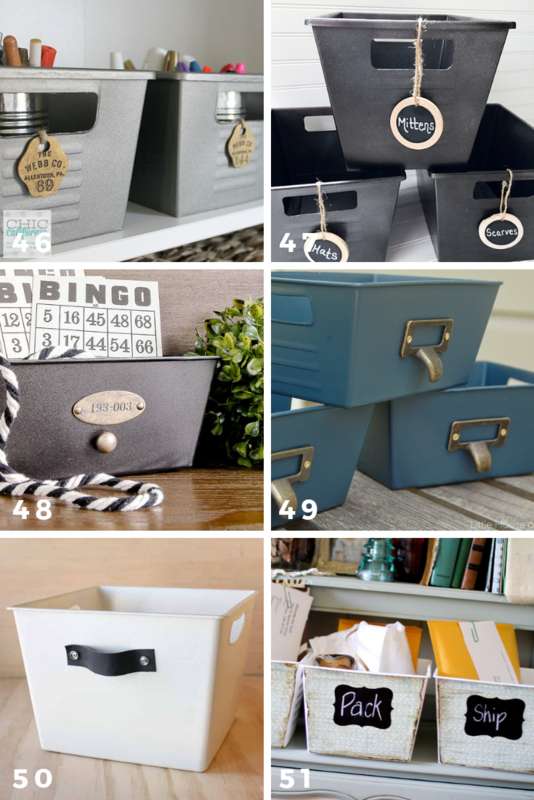 But don’t worry, I have found 65 amazing ways to use these cute locker bins to organize your whole home. 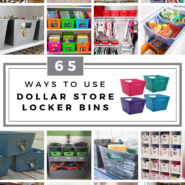 Even if you only like half these dollar tree organization hacks, you’ll still use up all 36 of your bins and your home will be totally organized! 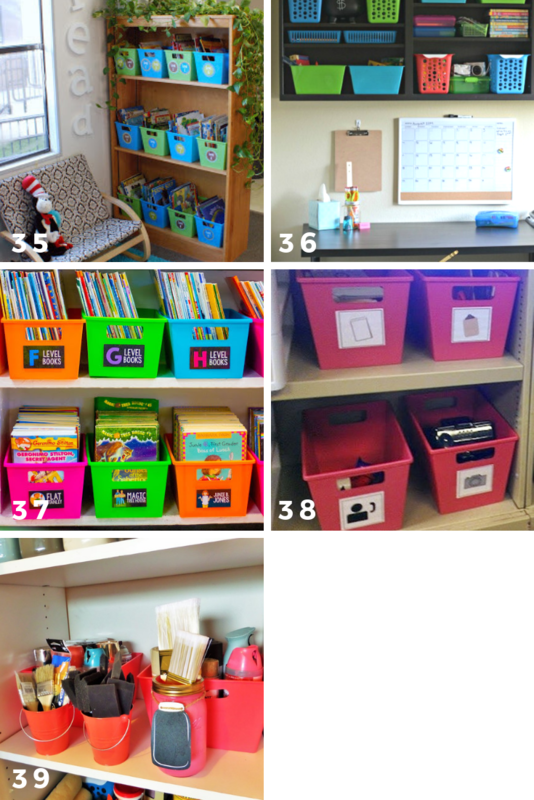 There are tons of things you can do with square plastic locker bins! 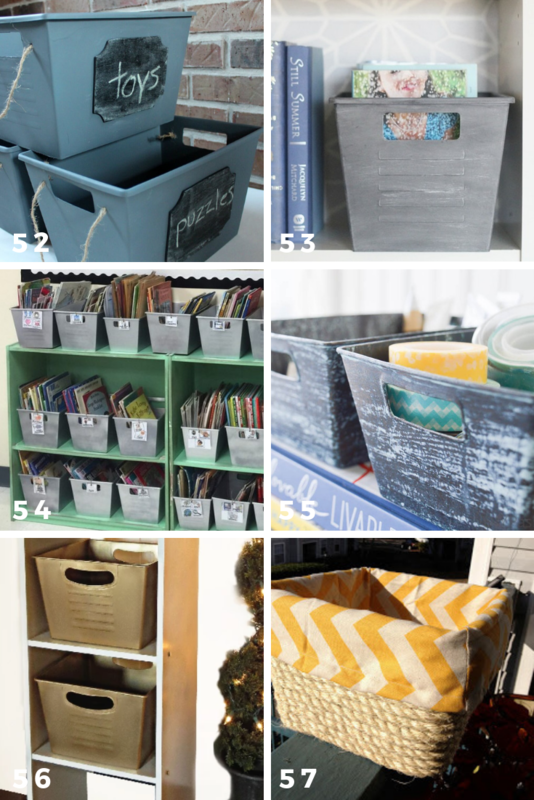 They’re useful in pretty much every room of your home, and at $1 each, they’re probably the least expensive way to get organized! 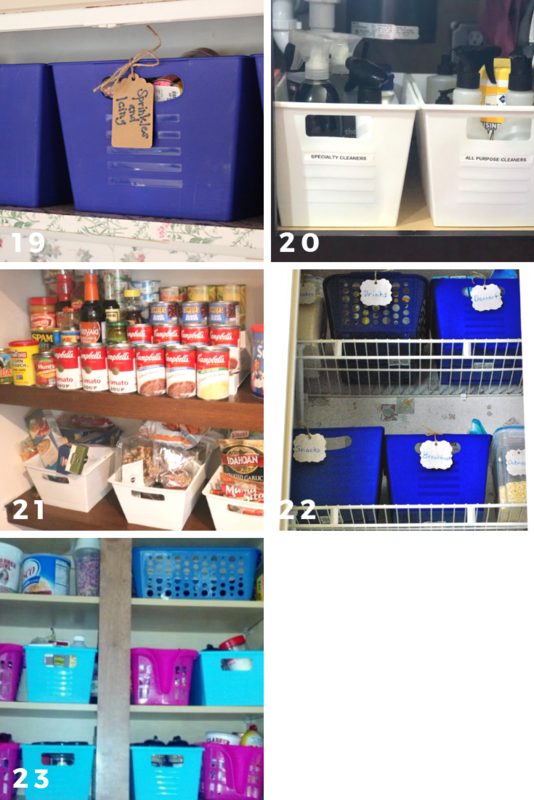 (1) Organize your chest freezer with dollar store bins; they’re easy to lift up so you can get at everything in the freezer, and you can use the different colors to help sort out your frozen foods. 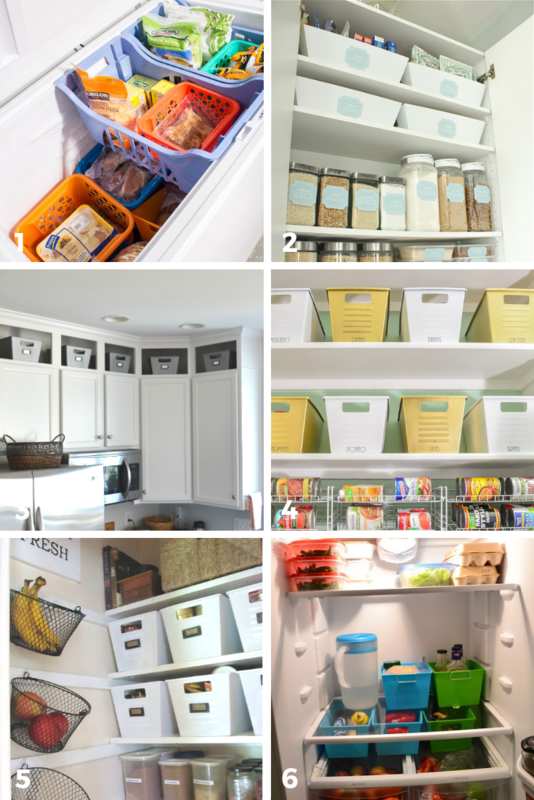 (3) Organize stuff on shelves in your kitchen; the handle makes these bins super easy to grab even when they’re up high! 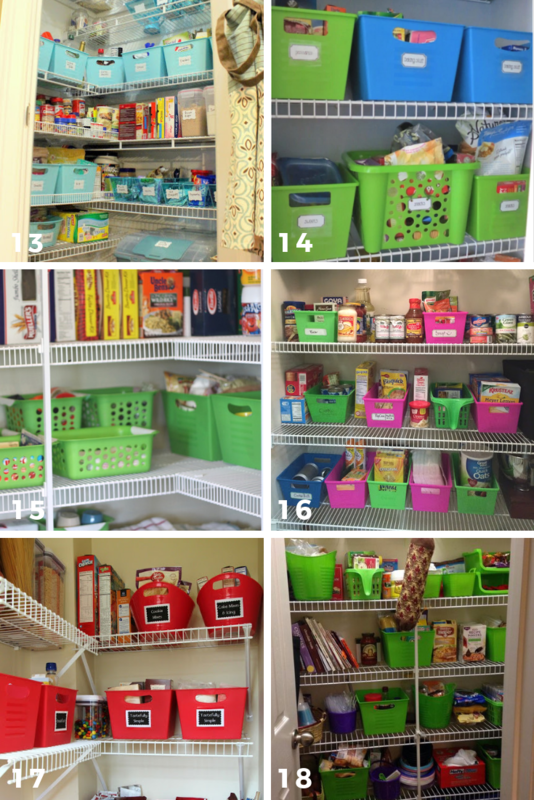 (13) (14) (15) (16) (17) (18) Even more awesome ways to organize your pantry! (19) These are the perfect way to organize sprinkles, icing, and other baking supplies! (23) Organize your spice cabinet; these buckets are perfect for all of those spice containers! 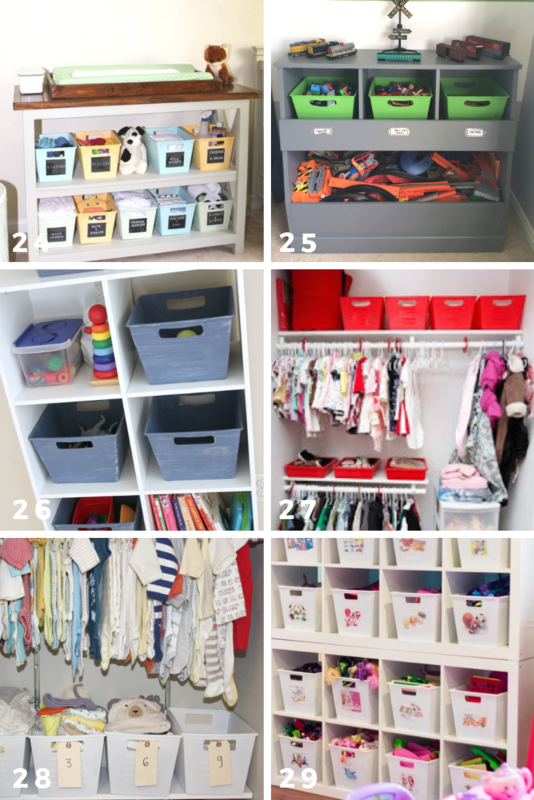 (28) Sort baby clothes by size so you always have the next size available on deck; they grow out of their clothes so quickly! 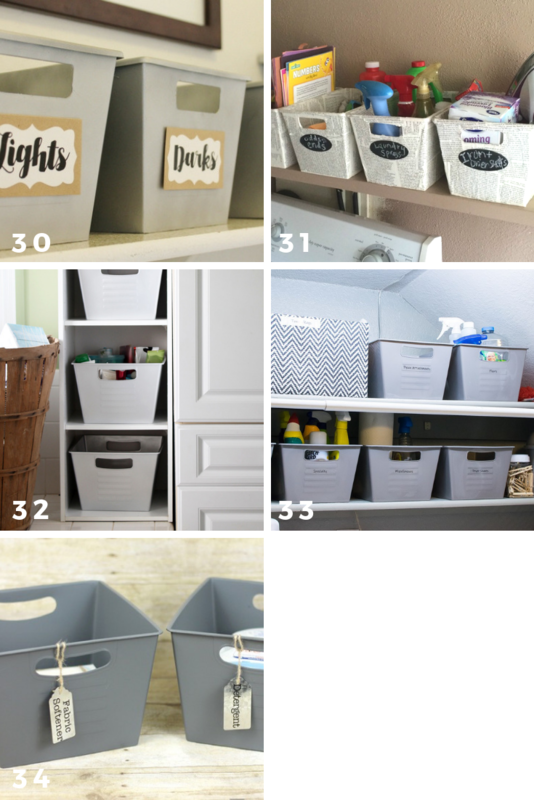 (30) Use the bins to sort small items into lights, darks, etc. 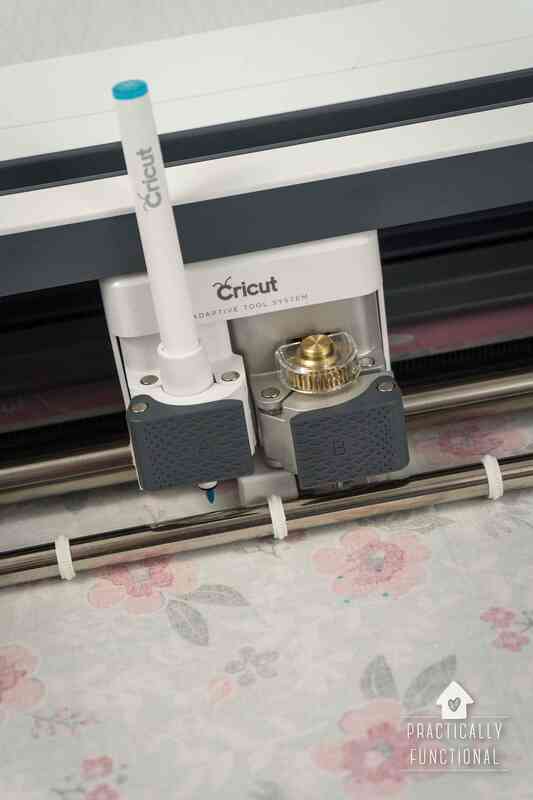 These are for all the teachers out there! (40) Cover the bin in fabric to make gorgeous bathroom storage that you can leave out in plain sight! 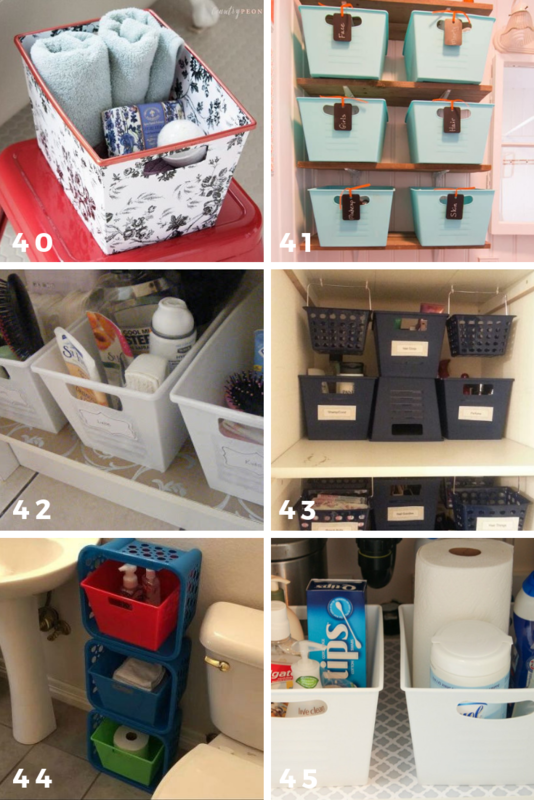 (44) Stack larger bins on their side, then put these lockers bins inside to create extra bathroom storage; great when you have a pedestal sink! 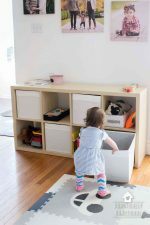 If you don’t like the bright primary colors these storage bins come in, here are some GREAT ideas to give them a makeover! (54) A shiny coat of silver spray paint will make your bins look like they’re made out of sheet metal! (57) Wrap these plastic bins in sisal rope to make your own fabric-lined rope basket! 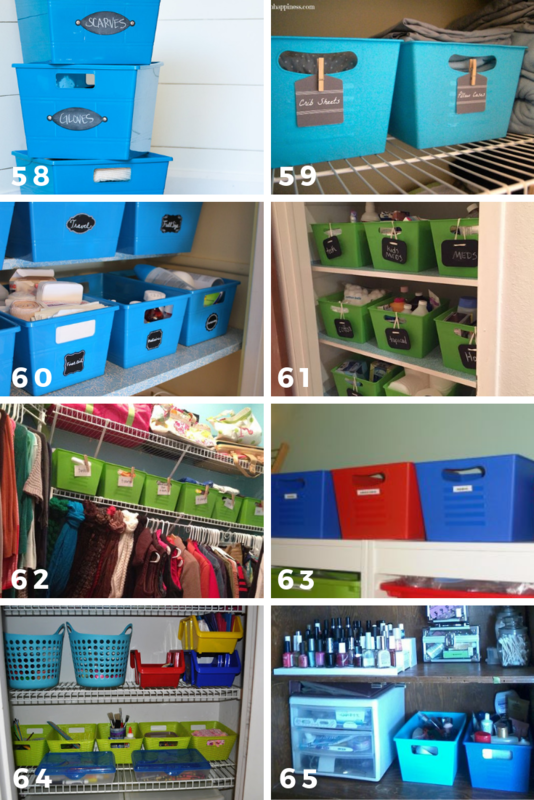 (62) Organize your clothes closet with these bins; they’re perfect for storing small accessories! 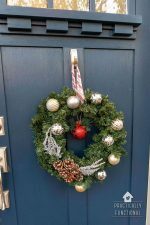 « DIY Battery Operated Light Up Wreath With Dollar Store Items!